When you’re someone with a disability, you make countless decisions in a day that others don’t typically have to think about, and when you’re a hearing impaired bride, you must find vendors who understand your needs. We were thrilled when Lesleigh’s mom, Ann, called about her daughter’s big day. Rebecca was able to brush up on her years studying American Sign Language to work with Lesleigh. 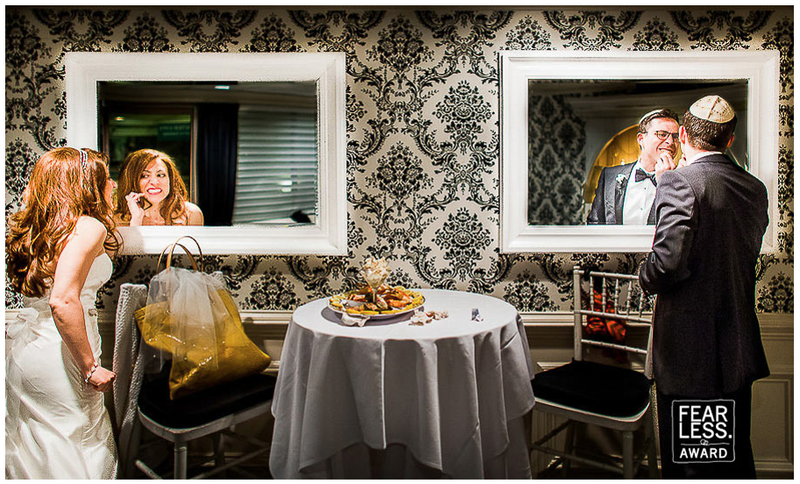 At the Curtis Center, where her wedding was held, there are two symmetrical mirrors in the bridal suite. Before cocktail hour, the bride and groom decided to take a quick breather and have a brief snack. On their way out the door and without prompting, Lesleigh and Jared each looked in a different mirror and checked their teeth. I was so shocked I almost missed it. I thought, “these two are perfect for each other.” It’s moments like this that I find hysterical and which display why great moments tell the best story. We are honored to have received a Fearless Award (our 12th in three years), but we are happier to have made at least one of Lesleigh and Jared’s decisions a little easier. JPG loves a challenge and finding ways to accentuate what makes ideal partners.